Book a service from Magic Carpet Cleaning Company. We are in the business for many years now and we know how provide top quality carpet cleaning every time. Our teams are experienced and motivated to achieve your expectations. If you need an information about our services and cleaning methods, please call on 0208 861 0979 or use the contact form below. We have special 100% customer satisfaction guarantee, or re-clean. One good reason why you should hire Magic Carpet Cleaning in Grahame Park (NW9) professional rug cleaning service is that it may be impossible for you to get rid of all the odours on your own. This is especially so when there are pets or small infants around in your home. Magic Carpet Cleaning in Grahame Park (NW9) professionals know exactly what to use on your carpet once they see it. After you have allowed them to perform their duties you will see a new looking carpet in your home. Grahame Park (NW9) carpet cleaning professionals are the ones to call whenever you need dry carpet cleaning for rugs, carpets and upholstery. 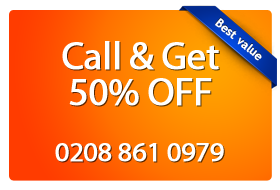 Magi Carpet Cleaning offers you the best deal in Grahame Park. All you need to do is booking a service. Call us now on 0208 861 0979. You will get a free estimate price. Also you can use our on-line booking form and one of our assistants will get in touch with shortly.